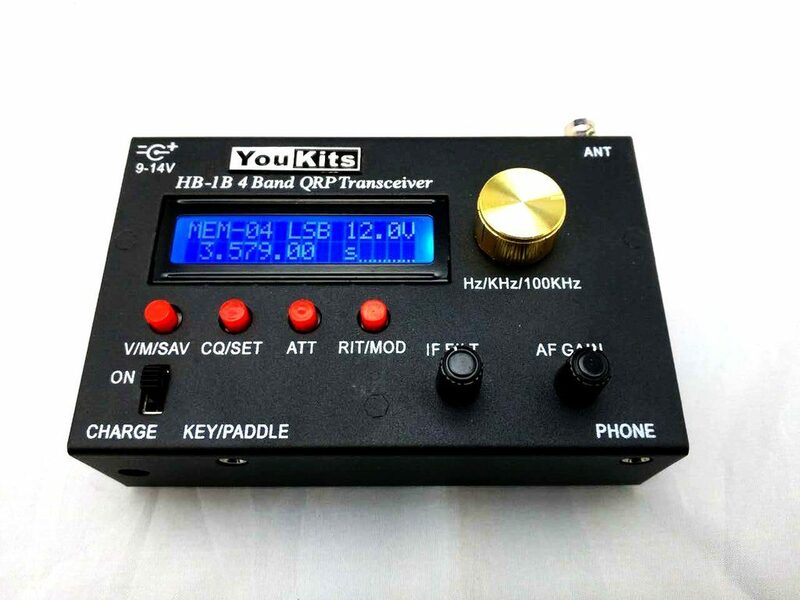 HB-1B MK3 2015 is the upgrade version of our HB-1B QRP transceiver. It is a small in size, light weight, lithium battery pack , particularly suitable for travel, picnics and other outdoor activities. 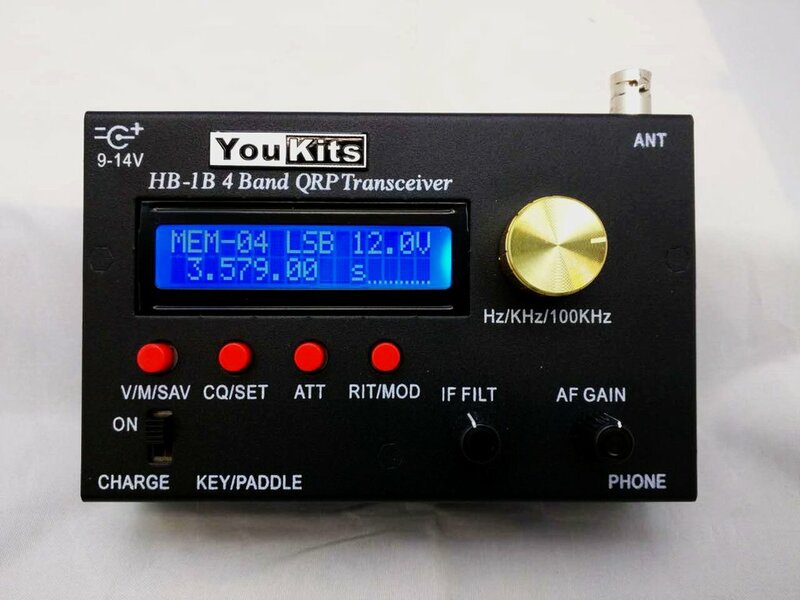 HB-1B MK3 covered 40m,30m,20m,17m and 15m amateur bands.With the DDS circuit to generate VFO signal, it can also work outside of the 5 amateur bands. It can cover between 5.9-22MHz band short wave radio bands. Additional IF bandwidth switching adjustable 400-3Khz continued, you can receive a good SSB, AM and CW signals. HB-1B MK3 LCD display: frequency, operating mode, supply voltage, S meter, receive fine-tuning (RIT) and forward and reflected power level, It is very convenient to use. 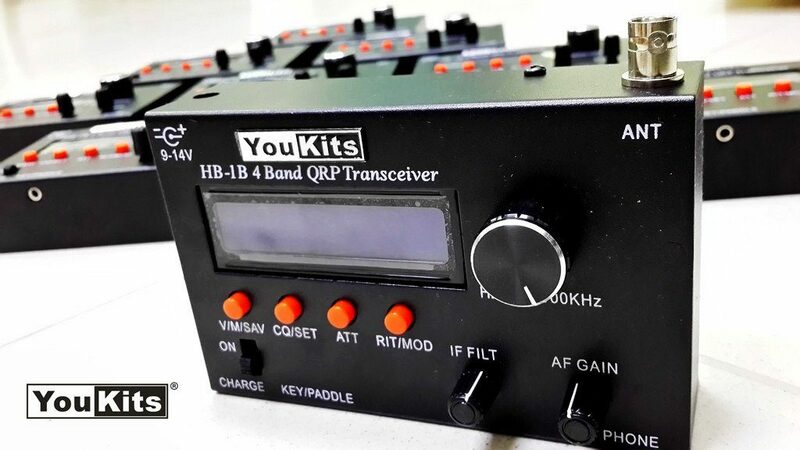 HB-1B MK3 have 30 frequency storage memories can be convenient to change the operating frequency and band. Transmit: 7.0-7.3MHz,10.1-10.15 MHz,14.0-14.35 MHz,18.068-18.168MHz, 21-21.45MHz. Display: Frequency,mode,voltage,S meter,RIT,forward and reserve power. IF filter 400Hz – 3KHz.